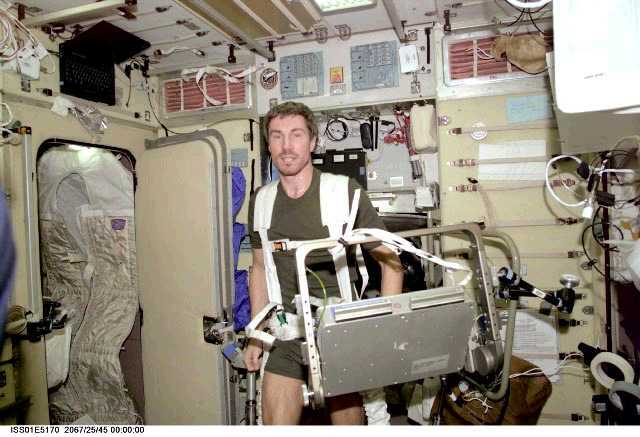 ï»¿ Exercise: Do they not need to exercise in space? 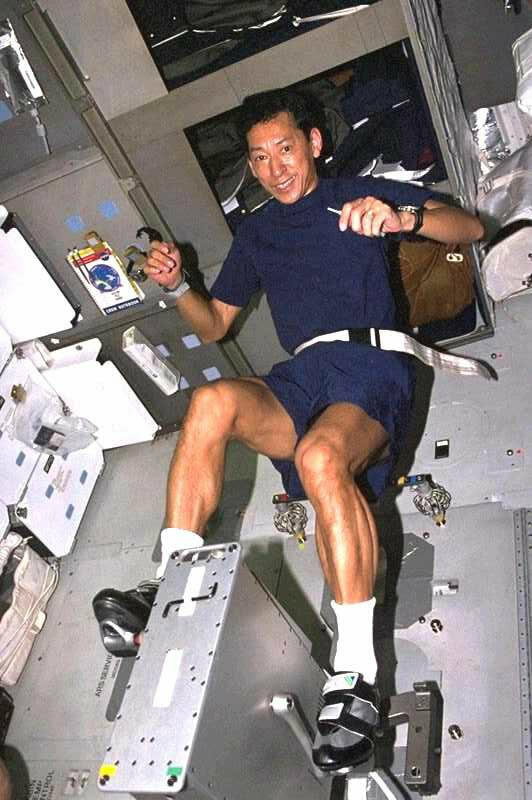 Astronauts need the proper amount of exercise in order to keep their bones and muscles strong. On Earth, except while sleeping, human beings are always moving against the force of gravity, with their muscles and bones supporting their body. 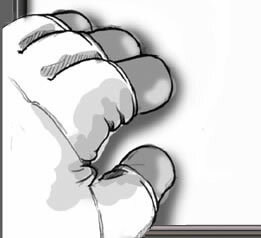 In space, however, the body does not need to do this supporting work, since there is no force of gravity. This has an adverse effect on the body with the bones and muscles becoming weaker. 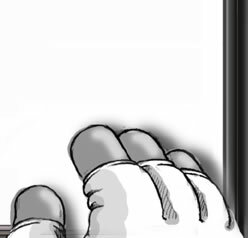 In order to keep the body working, the astronauts need a proper amount of exercise. They will exercise approximately two hours every day using exercise machines, such as treadmills and ergometers. 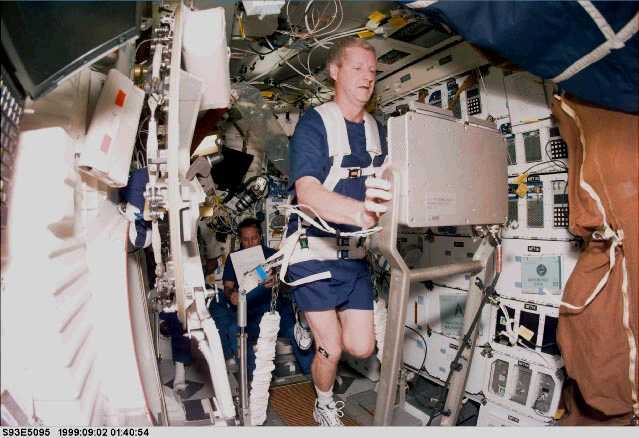 The treadmill is a machine on which, the astronauts do running exercises with their bodies strapped to it. The Ergometer is a machine similar to a bicycle without wheels. The amount of exercise can be adjusted by changing the pedal's pressure.